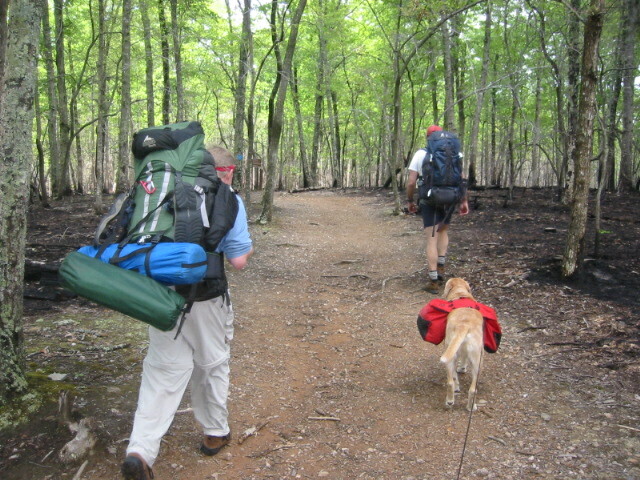 Have you ever thought about taking your dog camping? If not, you’re missing out. Dogs love the outdoors (unlike some of your more modernized, nit-picky family members and friends…). They won’t complain and they’re sure to have a great time. They won’t miss the television of the luxury of an air-conditioned home. Outdoors, a dog is in their natural element, and as your best pal, they are there to ensure that you have a great time as well. Packing and preparing before going camping is what will make your trip worthwhile. First, decide where you’re going to camp out. Are you going to take the family camper or the tent? For the best and most pure experience, take the tent. You’ll have a chance to really experience nature, but first, consider what the weather conditions will be. Will it be raining? If so, plan for another day. So, go ahead and pack up the tent. However, don’t forget both yours and dog’s supplies. You’ll need an extra change of clothes, some food for you, food and treats for your dog, some insect spray, a radio, flashlight, etc. Just so your dog doesn’t miss home too much, be sure to pack his comfy bed and pillow as well. In addition, don’t forget to bring plenty of water. It’s important to consider what you will be doing on your camping trip. Will you be hunting, fishing, hiking, or tubing? If hiking, be sure to bring plenty of paw balm and remember to check your pal’s paws frequently in order to prevent any cutting or injury, as you’re each likely to be spending a lot of your time on your feet in the wild. Plan to partake in a lot of exciting activities and rest assured that your pal is going to enjoy himself to the fullest extent. In the midst of all the excitement, there is always the chance of your pooch becoming injured in some way. There may be even more of a chance if he is not necessarily considered an outdoor pooch. For safety, be sure to pack plenty of antibiotic ointment for possible wounds, sterile eyewash, bandages, pet wrap, a splint, activated charcoal, and whatever else you feel that may be necessary. If you have any questions about what else to bring, it never hurts to ask the vet. Last but not least, there is the leash and harness. A leash is needed for all dogs because you never know when he’ll stray. All it takes is one second and he’ll be lost out in the wild. Although dogs come equipped with excellent sniffer’s, you can never be too careful. Chances are where you’re going there will be other people or at least, other forms of wildlife. Do you own a rather “aggressive” breed, such as an American Pit Bull Terrier, Rottweiler, or Alaskan Malamute? If so, you may realize that your dog is a big “teddy bear” but onlookers may argue otherwise. Better to be safe than sorry. Article by Nancy Cope a proud owner of 4 rescue dogs and owner of Pampered Dog Gifts an online dog boutique that specializes in special gifts for pampered pooches. Please visit Pampered-Dog-Gifts.com to shop for dog gift baskets, gourmet treats, leather collars and more for your spoiled pooch.